So here are a couple of bits from my now deceased phone. 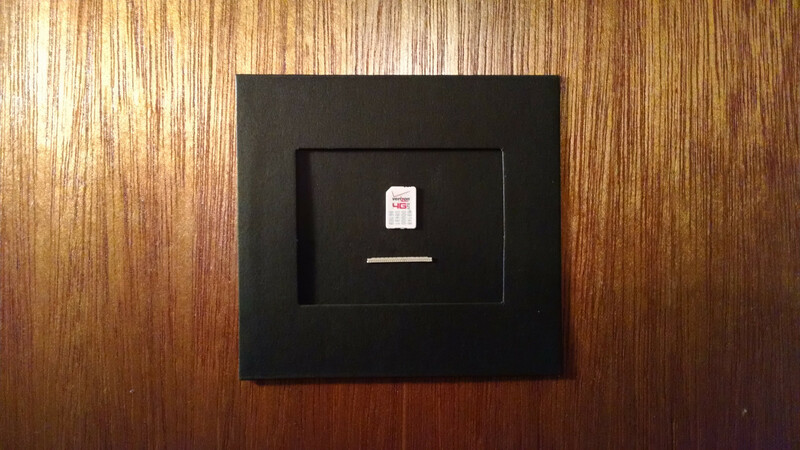 An old deactivated nano-SIM card, and the annoying plastic latch that broke off the video connector. They're hanging on the door in the lab. I bought a whole pack of those little cardboard frames, so I'll be putting up more bits and pieces as they catch my eye.